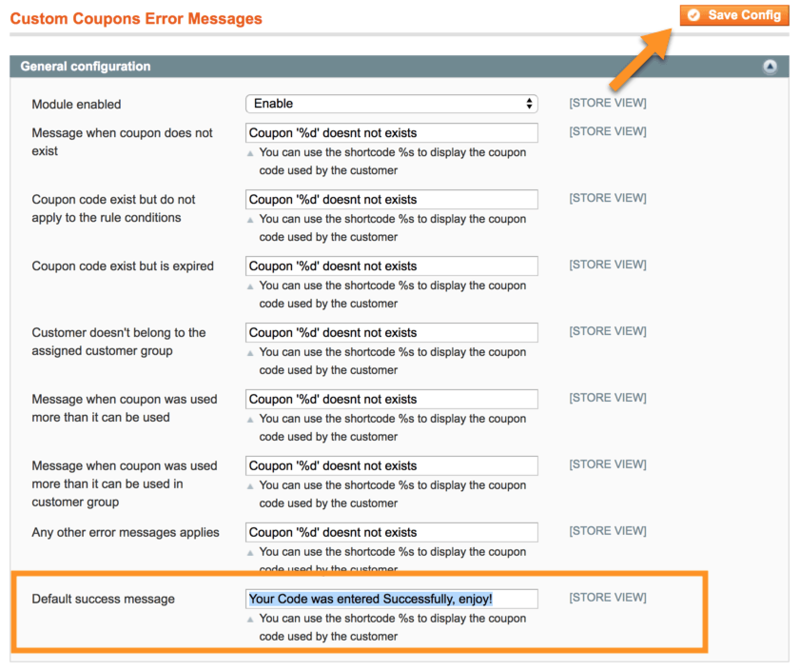 The Custom coupon code error extension for Magento® allows admin to customize a message displayed at checkout for each coupon error type. 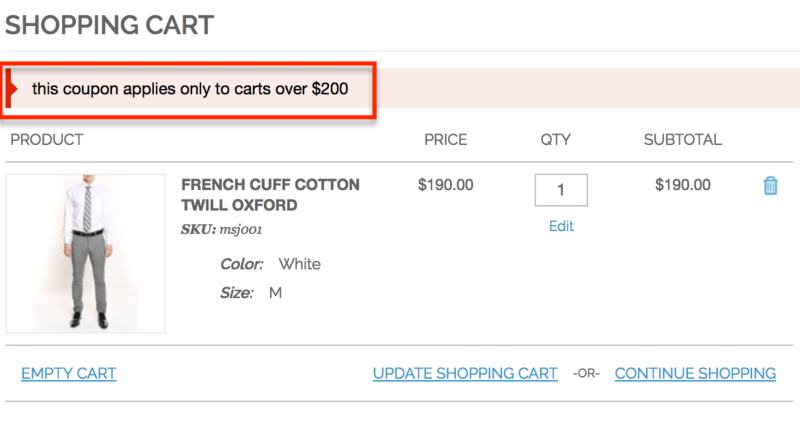 The Custom coupon code extension also provides a report showing coupon usage and error messages. 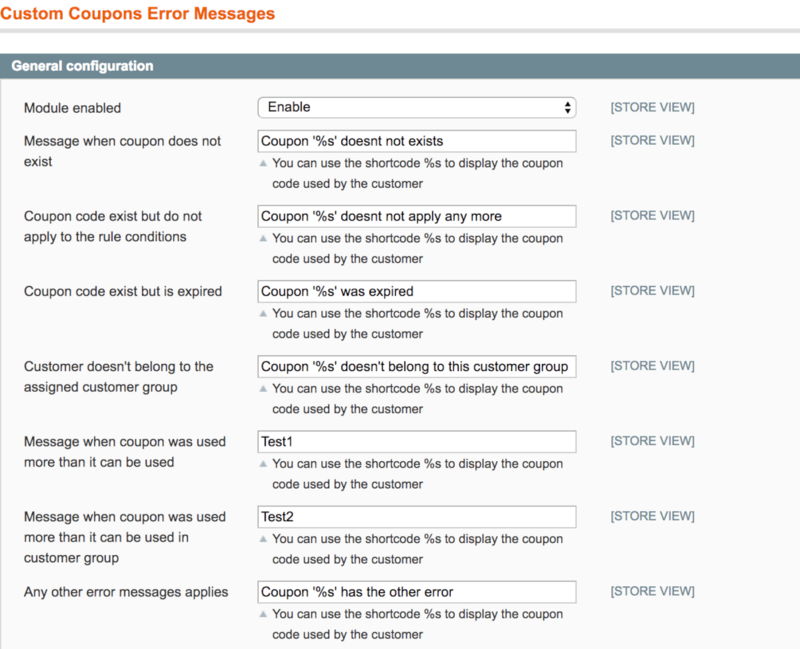 The Magento® Custom Coupon Code Error Messages extension allows Magento store administrators to create, track, and display custom coupon error messages when customers attempt to apply a coupon code to their shopping cart, and provides a reason for why that discount cannot be applied or the custom coupon is not valid. A single coupon code that isn’t working can result in decreased sales and more work for a customer service team, who must repeatedly explain the error to customers. 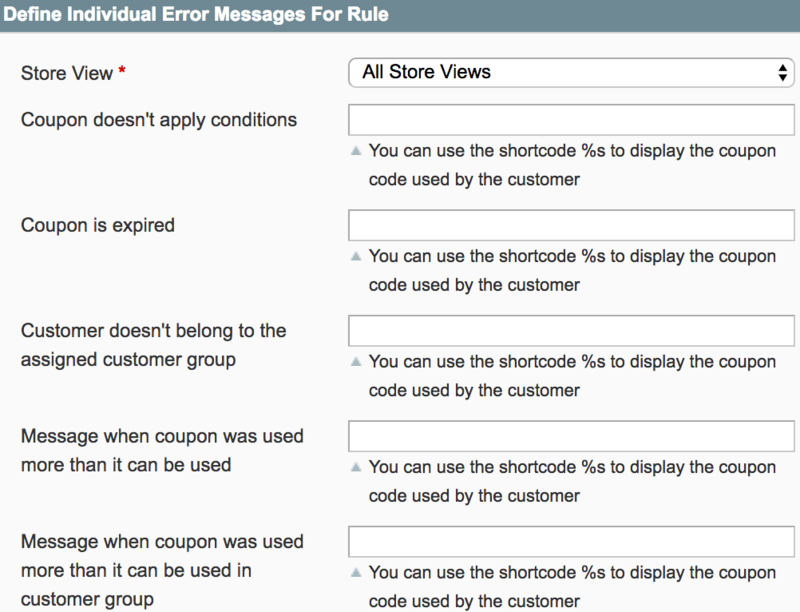 By using the Magento® Coupon Code Error Messages extension, you can save customers frustration by displaying a logical reason why a coupon code cannot be applied to the shopping cart. 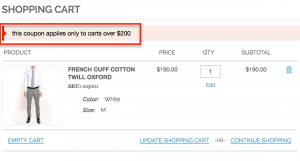 Offering discounts on a customer's cart price is an important sales strategy. 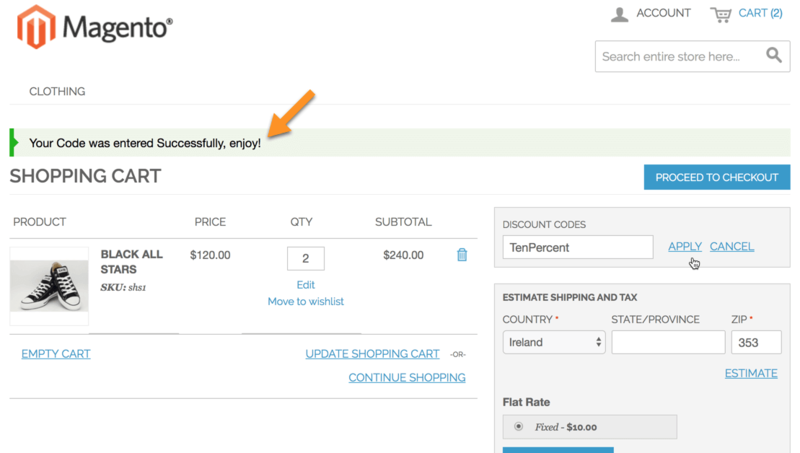 Coupon codes are easy to distribute, but can sometimes be difficult to track. 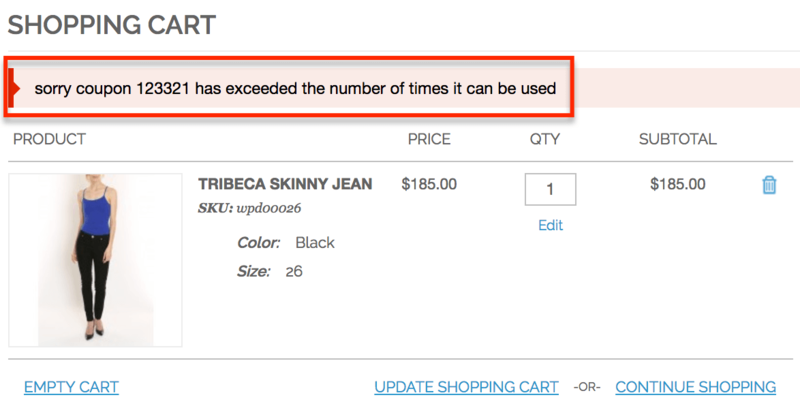 What happens when a customer goes to use a coupon code and it doesn't work? 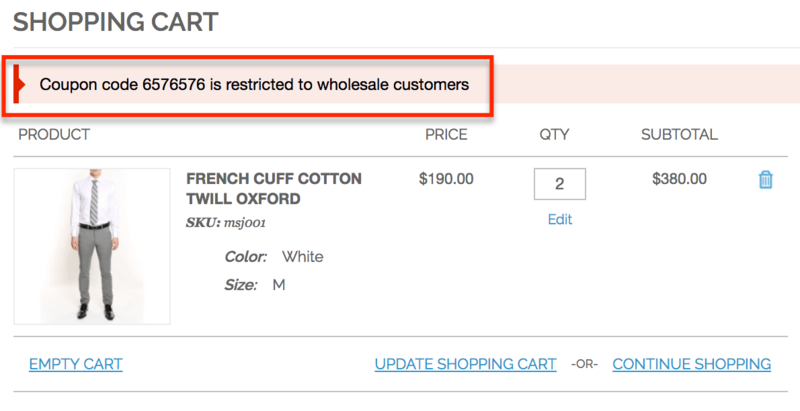 It can be frustrating for customers when coupon codes aren't valid at checkout and no error message is displayed. 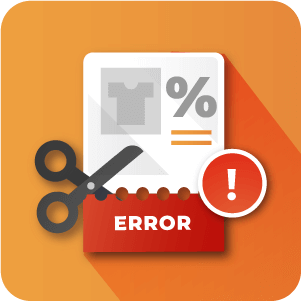 Detailed messages for possible errors can be added to each of your coupons in advance, no matter what language they are in or who they are intended for. 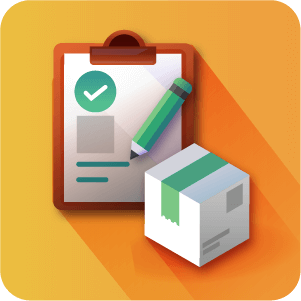 This creates a better user experience for shoppers and decreases the workload for store customer service. 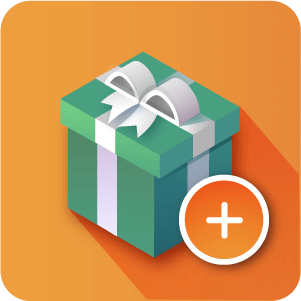 Customers will no longer need to guess why a Magento® coupon code is not working or contact your customer service team for an answer! 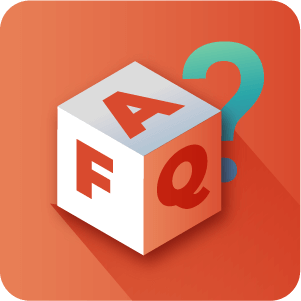 This greatly reduces the time your customer service team spends answering the same questions. 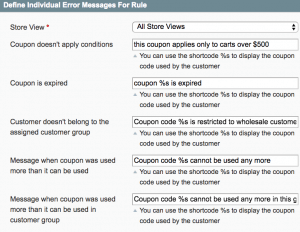 Condition Not Met – The coupon does not meet the condition specified. 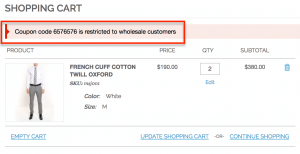 Wrong Customer Group – A coupon code is assigned only to a specific customer group. How would this extension improve user experience? People like to be well informed. When coupons fail to apply successfully, instead of getting a default “coupon could not be applied” message, they will get a message that explains what they need to do next. Perhaps the code was entered incorrectly, or possibly they were not logged in and therefore the system could not recognize them as eligible for a discount. If they know what’s going on they are more likely to buy. 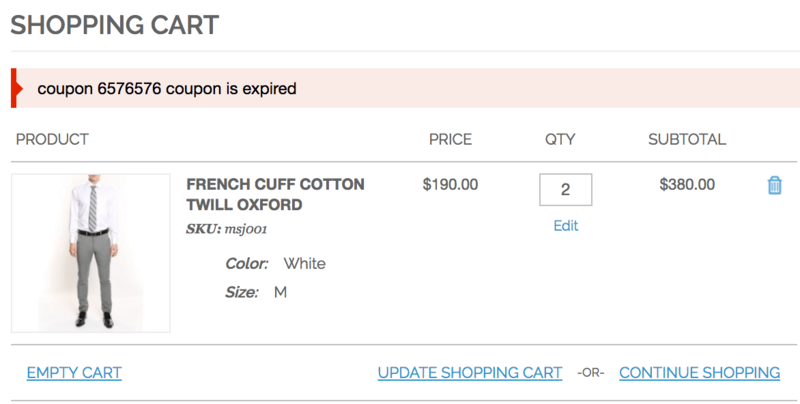 Contact our out Sales Team to try out the demo and see for yourself the difference the Custom Coupon Error Message extension can make for your store. Can I create custom coupon code error messages for a specific coupon? Alternatively, you can also apply your error messages globally on all coupons. 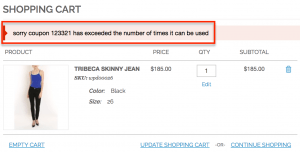 How does the coupon error tracking work? 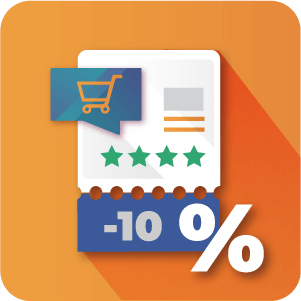 The extension comes with a built in coupon error tracking system that lists all coupon error scenarios, including reports on why they occurred and whether or not they ended up being used. This can give you an idea of what are the most common errors that customers face when attempting to avail of discount codes and can help you to repair annoying situations for customers, making your site more user friendly. 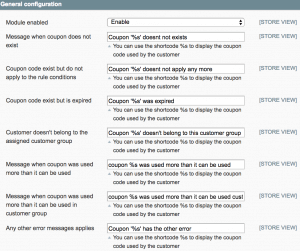 To learn more about Error Tracking with the Custom Coupon Error Message extension see this Help Article. Can I create multiple error messages for my coupons? Yes. You can set a different error message for each coupon error scenario, meaning that instead of the default “coupon could not be applied”, you can explain why it could not be applied, for example: “Wrong coupon code entered” or “You must be logged in to use this coupon”. 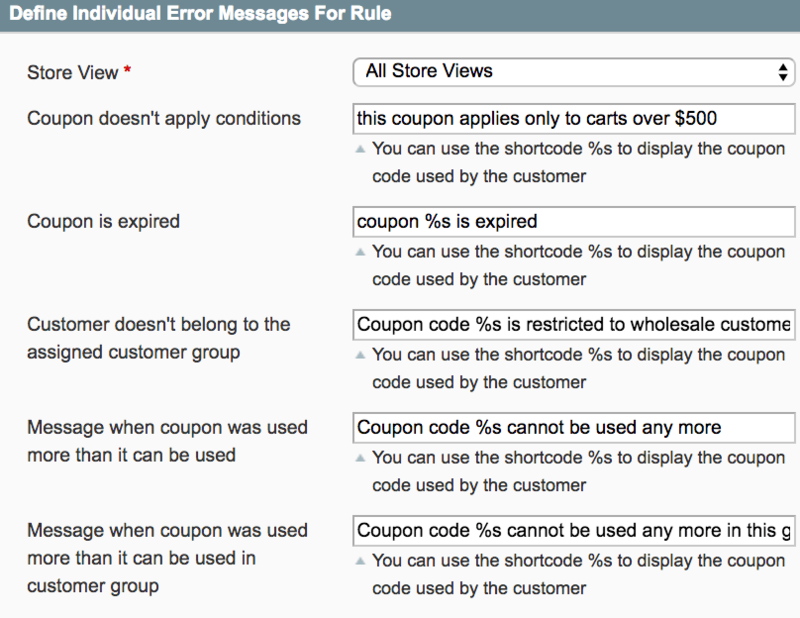 Read more about Creating Coupon error Messages in this Help Article. Will this work with one-step checkout? We have added an integration with Magestore.com One page checkout. 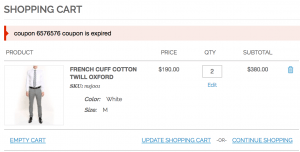 Can the Custom Coupon Error Message Extension be used to modify the Success message that appears when a Coupon is entered? Yes, it can! 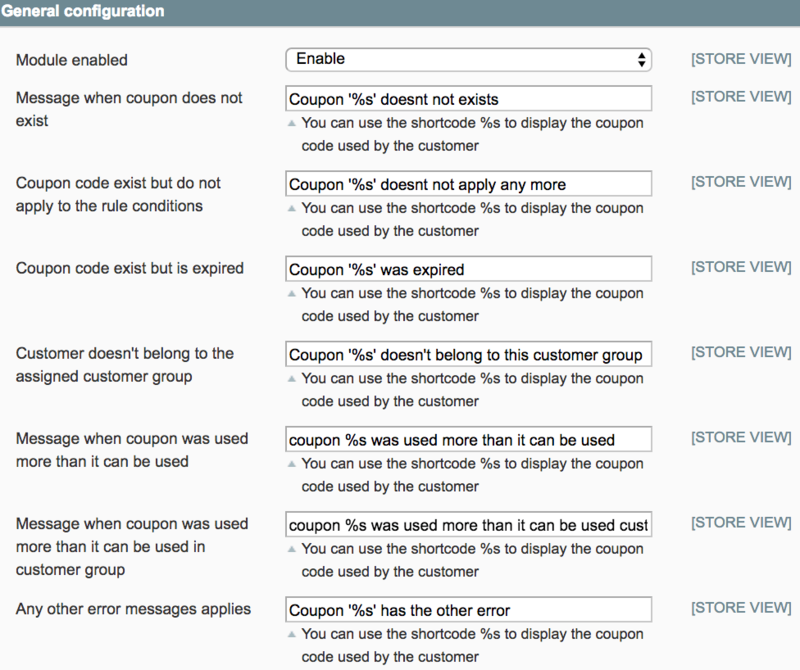 We have included a feature in the Configuration settings for displaying a success message when a coupon code has been successfully applied. Does the extension support multi-store with multiple languages? that you may have available to your customers. Fixed bug with delete mass action in admin coupons grid. Added integration with Magestore One page checkout module. Added missing layout file to the package.